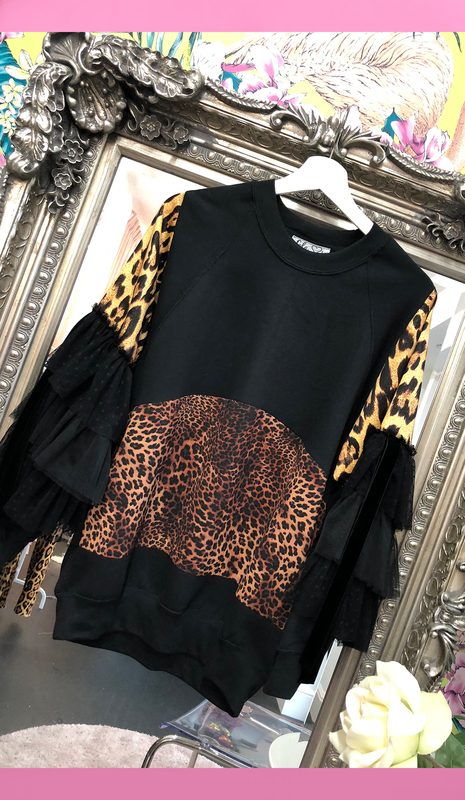 What’s not to love about our New Leopard Frill Jumper. This style features panel detailing with contrast leopard print fabric and layered spot net ruffles on sleeves with velvet ribbon detail. 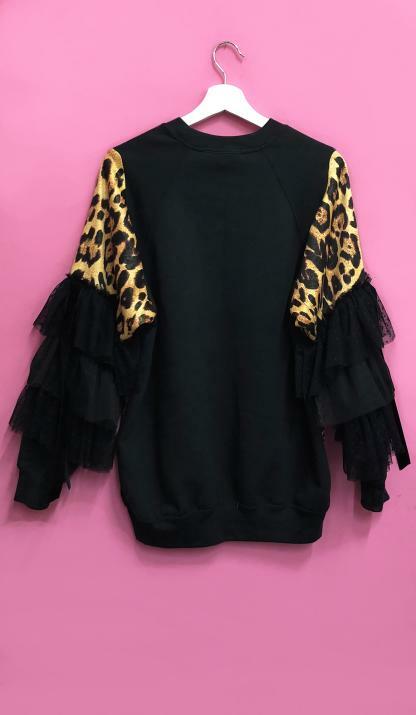 Wear with oversized shirt under and PU trousers for impact.